Rúben and Rebecca Ponce first began cultivating berries in 1986 near Watsonville, California. In 2012, Rúben transitioned from farming as a contract berry grower to a direct market farmer with 10 acres of berries and vegetables. Recently, Ponce Produce diversified their production to bring to market a variety of crops that get sold at five farmers’ markets, including El Mercado Popular, a Watsonville farmers’ market committed to helping promote direct marketing opportunities and a community of local family farmers. The Ponces have also established business relationships with local restaurants and they are known for their fresh raspberries, purslane (verdolaga), and squash blossoms. Due to his desire and willingness to learn and manage new conservation practices, Rúben attended his first nutrient management workshop with Resource Conservation District of Santa Cruz County (RCDSCC) a little over a year ago. It was here that Ruben learned about a grant that would allow RCDSCC to start a certified farmers’ market in partnership with El Mercado Popular. Rúben Ponce was one of the first established farmers at the farmers’ market, and through his involvement in the market he has become engaged in other conservation workshops and educational opportunities hosted by The Natural Resources Conservation Service (NRCS) and RCDSCC. 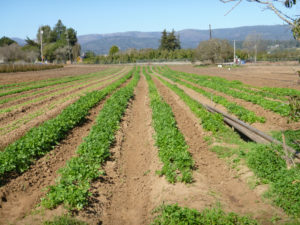 Rúben is the only non-bilingual Spanish-speaking grower managing an Environmental Quality Incentives Program (EQIP) contract with the NRCS Capitola office. EQIP offers farmers financial and technical assistance for the installation of approved conservation practices while also helping to identify necessary conservation efforts on agricultural lands. Rúben is currently working to manage irrigation for water conservation and monitor nutrients to reduce nitrogen, phosphorus, potassium, and sediment runoff. 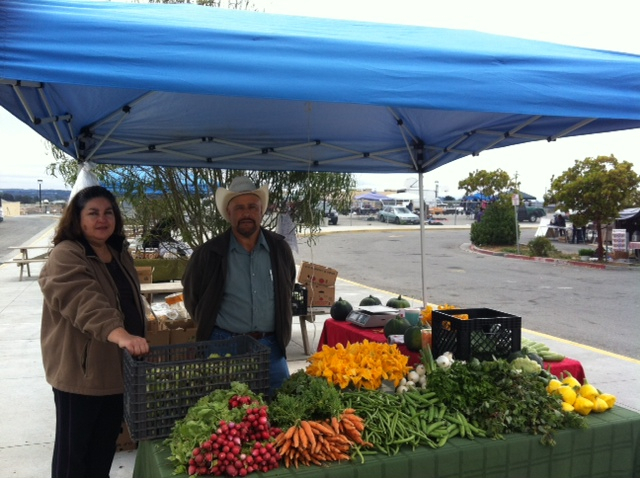 Conservation activities at Ponce Produce were supported with NRCS EQIP funding. NRCS also supplied Rúben with a brochure tool kit and trained him on how to monitor soil texture by hand to gauge soil moisture content. This user friendly approach allows the farmer to adjust their irrigation needs accordingly and is cost effective for small- scale farms because it doesn’t require the installation of complicated or expensive technology. Since his involvement with NRCS in May of 2013, Rúben has been logging his fertilizer applications into a spreadsheet and has learned how to both take and interpret soil samples. The analysis of these soil samples helped Rúben to reduce his input costs and conserve resources while improving the accuracy of both his irrigation and nutrient management practices. Rúben is working to monitor and balance his fertilizer inputs so that his soil nutrient levels are optimal for berry sweetness while protecting water quality. Rúben has plans to renew his NRCS contract so that he may continue to invest in agricultural stewardship and on-site conservation efforts after his contract expires. 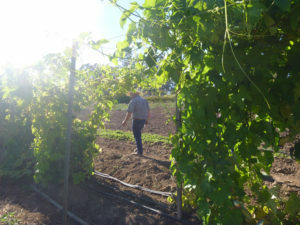 The Ponces aspire to become fully certified organic producers and they are currently looking for additional acreage with a long-term lease to farm organically. Ponce Produce is one of El Mercado Popular’s success stories and The Ponces are actively seeking to increase their participation in other farmers’ markets.